The end of 2018 is fast approaching and that means holiday season! Bali will help you unwind, there are lovely beaches in the Philippines, and Vietnam is great for foodies. Or so I’ve heard from friends who have actual money in their bank account instead of ghosts and cobwebs. 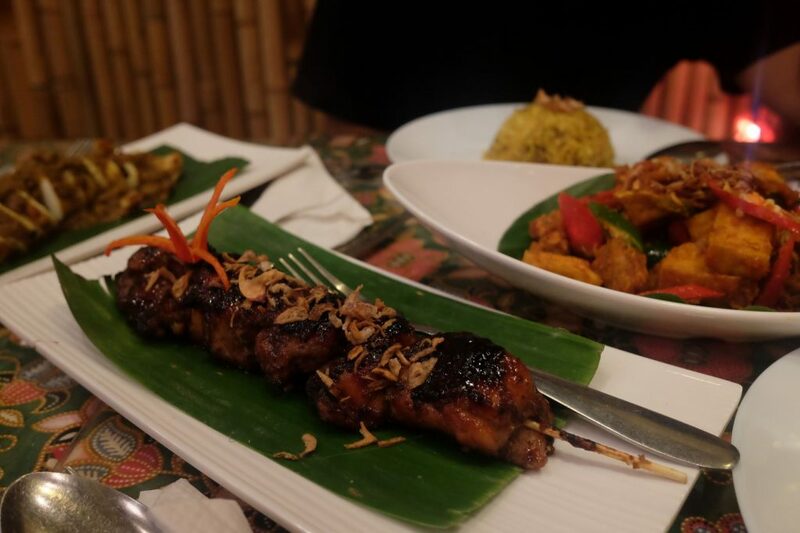 However, being broke should not stop you from exploring Southeast Asian culture in all its infinite splendour, from appetisers to mains to dessert. 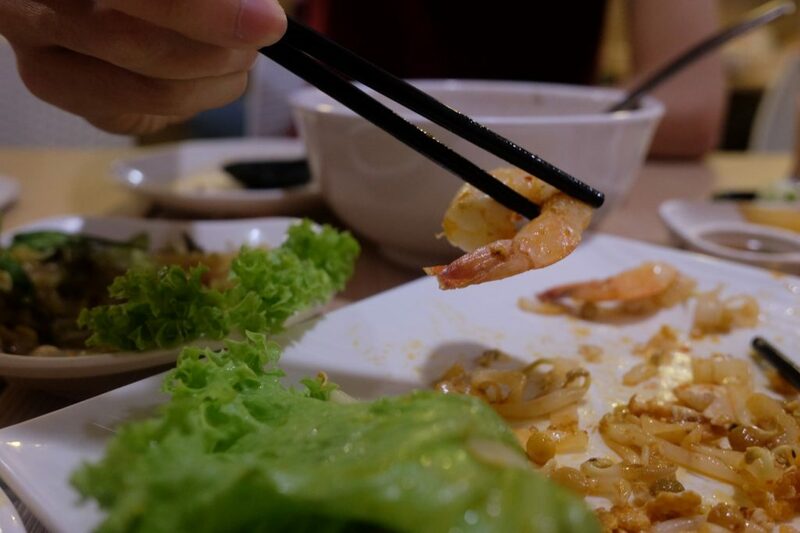 Here’s how your stomach can travel the region even if your body is too poor to leave Changi. Inasal is Filipino bakery and restaurant on the fourth floor of Lucky Plaza. Inasal is also the name of a famous barbecue chicken dish … which I did not order because I am an idiot and failed to make the connection between Chicken-Inasal and Eatery-Inasal until 2 days before this article’s submission deadline. This is how you end up with five person’s worth of food on a Monday afternoon. Luckily, the food is orgasmic, especially for devoted carnivores. 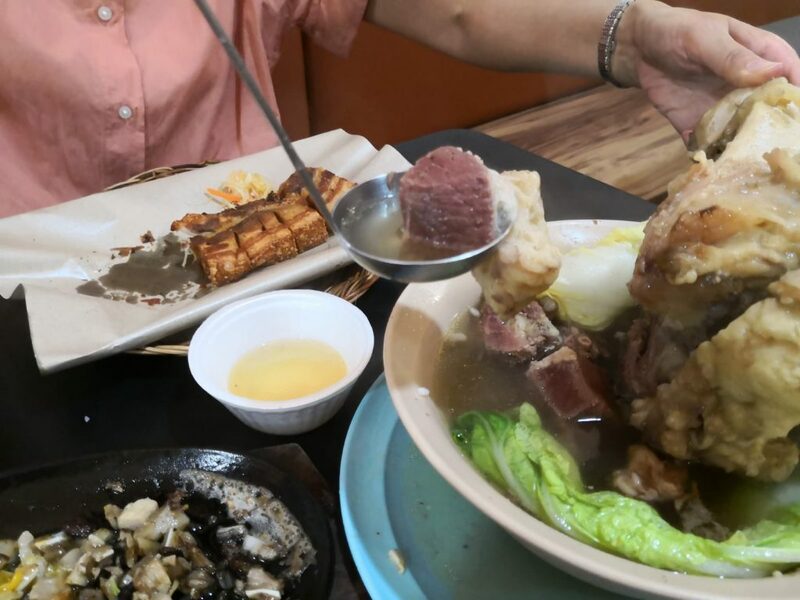 The Bulalo is a Flintstone-sized hunk of beef, with globs of tender meat and fat melting off the bone into a broth so golden and rich your hands will smell like beef for days afterwards. 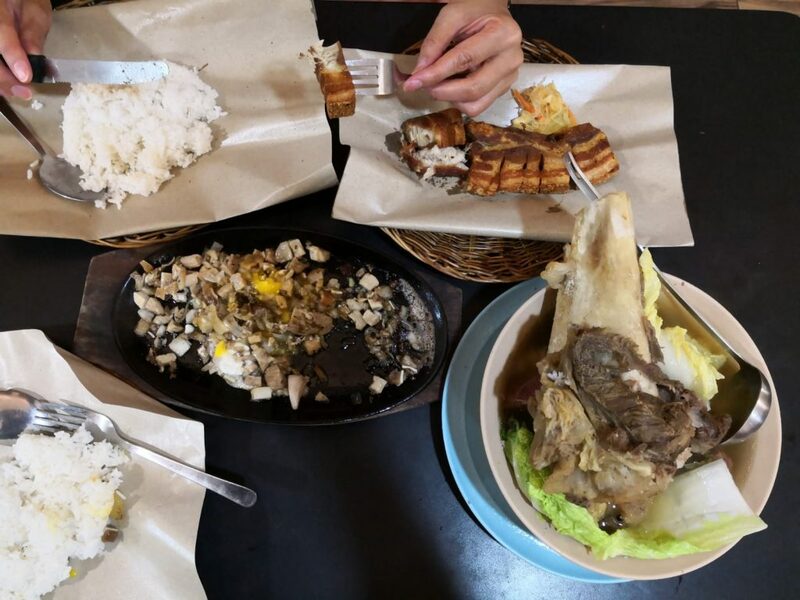 The staff also recommended Lechon, a uber-crispy roast pork belly which crumbles like an umami-and-lard cracker between your teeth. Then there’s Sisig, the best iteration of sizzling pig’s face you will ever have. It is served on a hotplate with half-caramelised onions and a raw egg stirred in, its yellow yolk forming a natural gravy. Inasal also serves dessert like Halo Halo and Flan, but I was about to explode and die from all the meat. So instead, I did the sensible thing and bought Chicarrones—deep fried pork rinds—for the office. Everyone wanted to eat them but was too afraid because they believe the pork rinds are unhealthy, artery-clogging and basically an edible heart attack. Well, let me tell ya, they are entirely correct. But would you rather die with an acai bowl in hand? 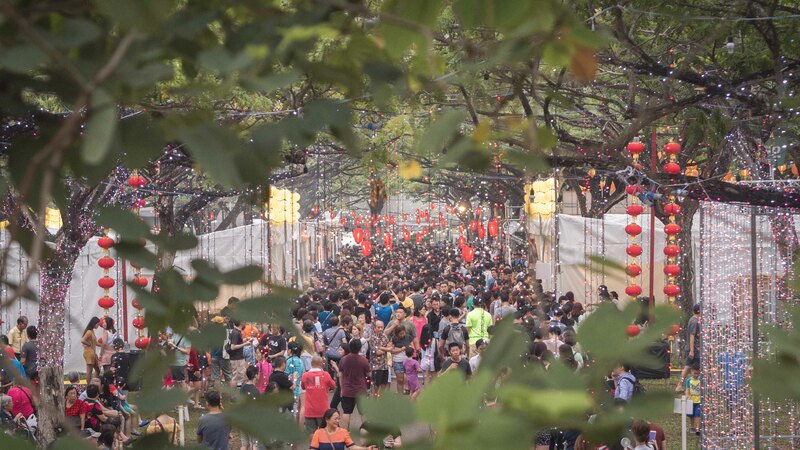 Located opposite Chijmes and next to the high-SES ghost town of Capitol Piazza, Peninsula Plaza is Singapore’s Myanmar enclave. 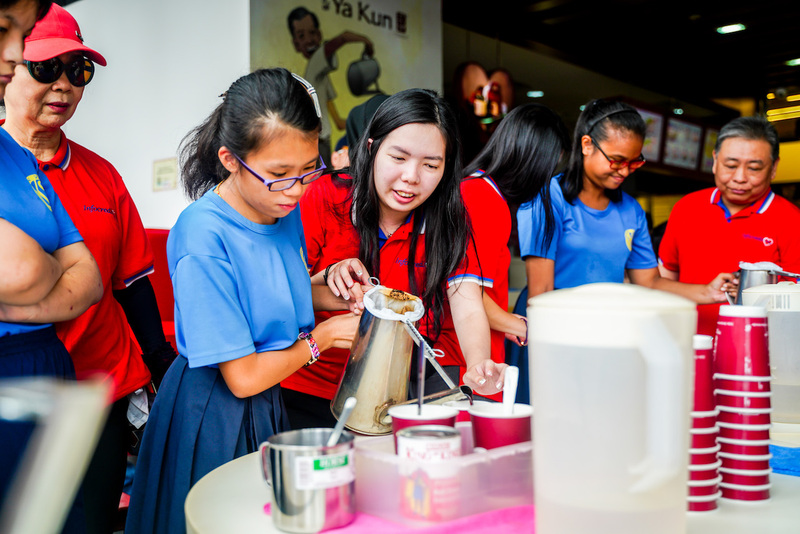 Every Sunday, the community gathers in the area for food, drink, and chit chat. There are quite a few eateries in the building but the most famous of all is probably Inle Myanmar, named after a famous lake in the Shan state. Don’t worry if you know nothing about Myanmar and even less about the country’s cuisine because the staff is incredibly helpful. They’ve even prepared a special booklet for beginners who cannot comprehend their sprawling menu. It has many colourful pictures. For starters, we had gourd fritters and a tea leaves salad—yes, your eyes deceive you not—tea leaves. Pickled tea leaves are mixed with garlic, toasted nuts, tomatoes and cabbage to make an astringent appetiser that’s every bit as addictive as those small plates of pickles you find in a Korean restaurant. This is followed by a steaming bowl of Mohinga a.k.a a fish-and-noodle soup that tastes like the lovechild of assam laksa and mee-siam, and a massive portion of Myanmar Kway Teow, distinguished from its East Asian cousins by a liberal helping of split chickpeas. Not to belittle the rest of the menu, but the best thing at Inle is dessert. Or more specifically, the Hsanwin Makin or Semolina cake—a heavenly disc of just-right sweetness that crumbles into perfect bite-sized chunks when you dig in with your fork. 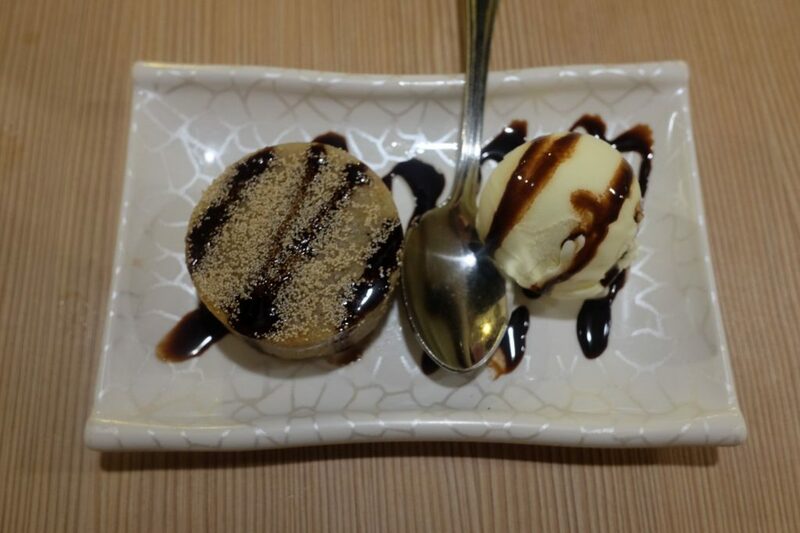 I suggest ordering it with the ice cream, because you want to taste that cold vanilla ice cream soaking into a sponge of warm, fluffy semolina. Judging by the orders, we’re not the only admirers of Sanwin Makin. The neighboring table ordered a double portion of the cake and quite a few customers seem to have come for the desserts and nothing else. There are many many Vietnamese restaurants in Singapore and even more puns on the word ‘pho’, with the pho-stop on every pho-shop’s pho-losophy/pho-cade nothing more than pho-cetious wordplay, rather than reference to pho-nomenal food. 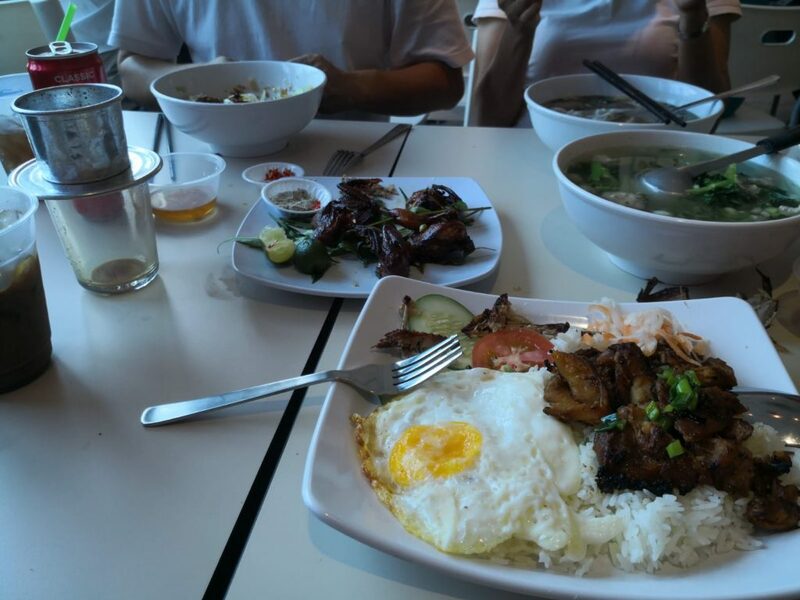 Grandlink Square’s Little Vietnam, however, is a ‘no-frills’ place by the Kallang river which invests its time in food instead of puns. 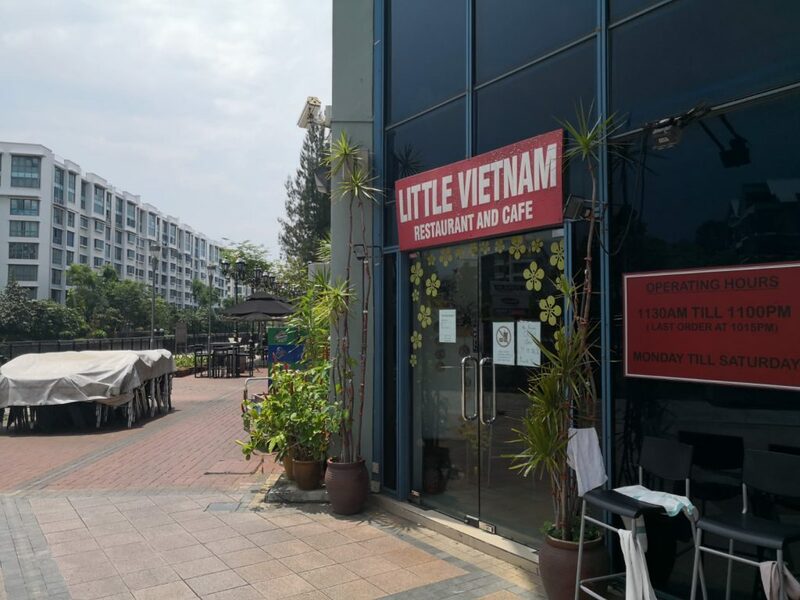 The menu is mostly Vietnamese with haphazard English translations, and the service staff isn’t entirely fluent, so you might experience some trouble ordering. However, I didn’t really care because most of it is pretty good— and cheap. Their Bun Cha comes with a massive slab of pork and a veritable Eden of crunchy veggies. The brisket pho ($7!) is a comforting soup paired a delicious but hair-raising chilli which derives its sting from countless tiny seeds. For our table, we also ordered quail—tiny whole birds roasted to a mahogany sheen and eaten with a fresh squeeze of lime and a non-compulsory dipping salt. 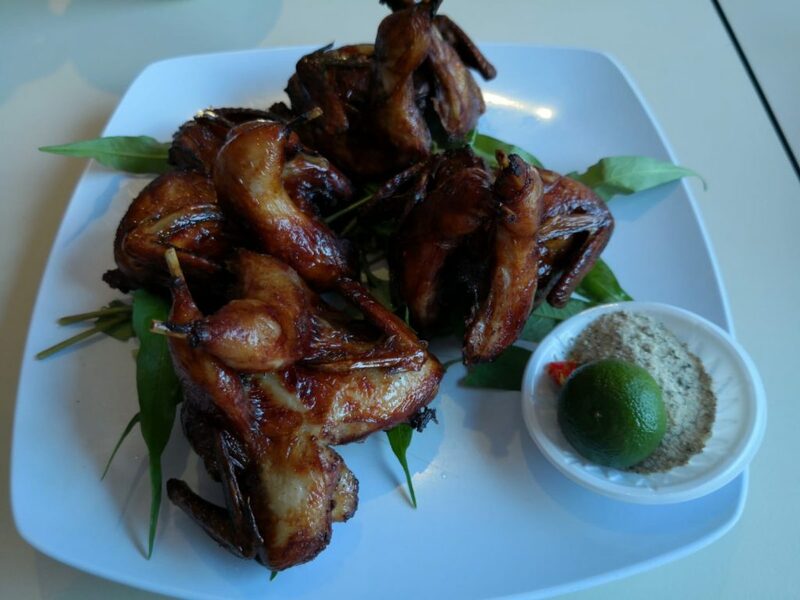 Think roasted barbecue chicken wings you get at East Coast, but better. Think sticky fingers. 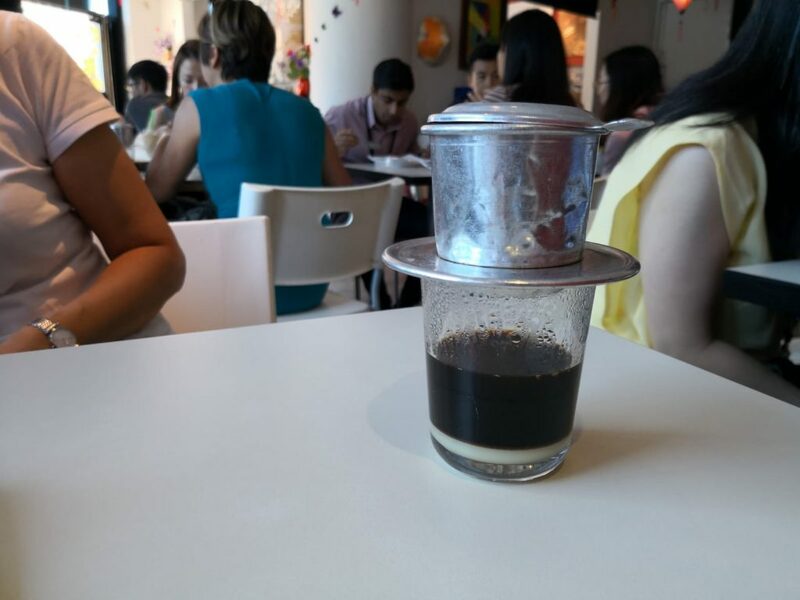 After you’re done, I suggest taking the edge off with their eh, freshly-made, Vietnamese coffee. So fresh that it is still dripping from a stainless steel filter when they bring it to your table. Expect the mostly lunch crowd to stare as you fumble for your caffeine fix. I do not like chicken satay, soybeans or sotong in any form. 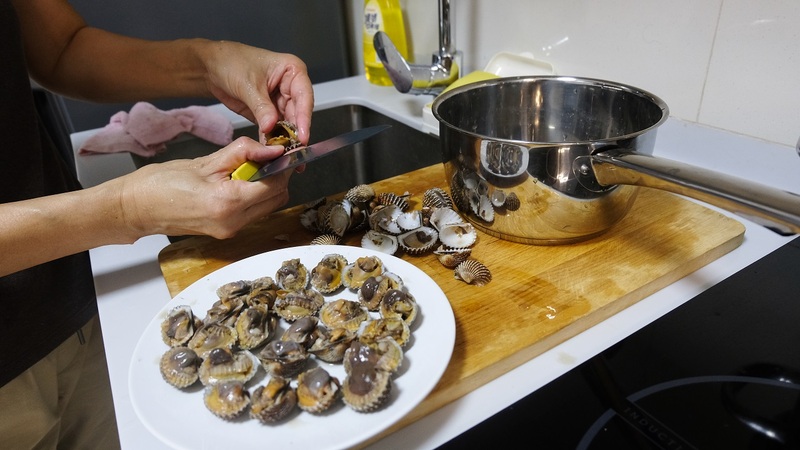 In fact, I abhor those dishes because sotong is too often a rubbery Michelin tyre whilst satay is usually hardened gristle clinging for dear life to a stick. As for soy, it just feels too healthy for a restaurant. 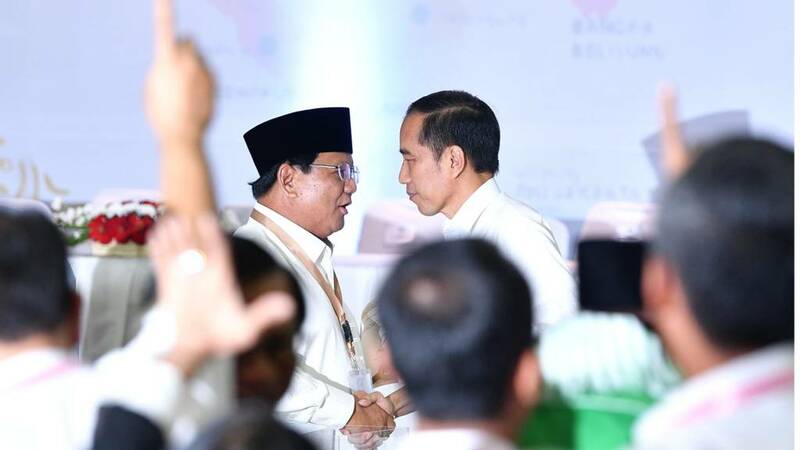 Not at Cumi Bali, however. 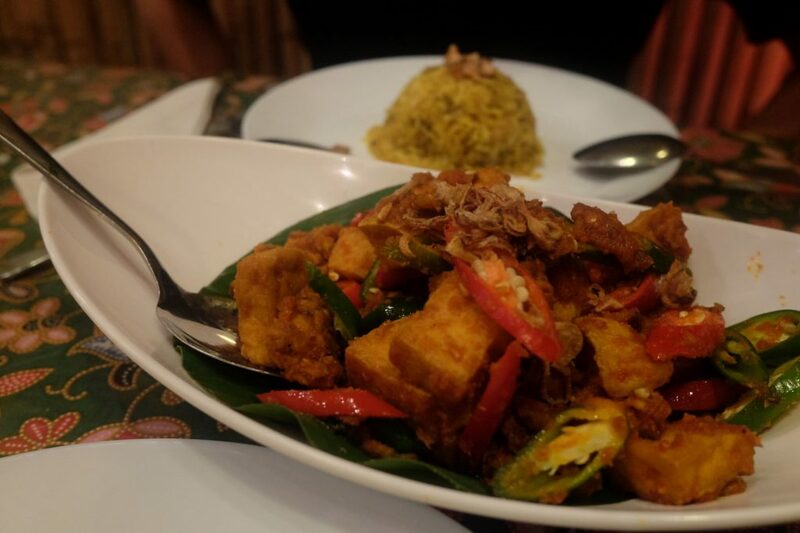 Their spicy Tauhu Tempe is so good that my companion and I had to stop ourselves lest we finish the whole plate before our meats arrived. I’m not sure what spices they used, but you can practically make a supper of the tempe’s paste alone. All you need is some leftover rice. 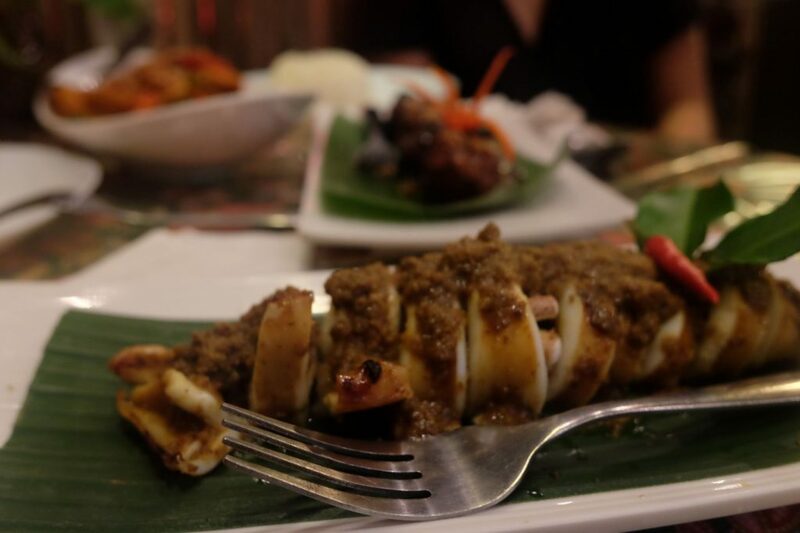 Their signature cumi squid is grilled to tender perfection, but we both agreed their Sate Madura was the real highlight. This is not some tough-as-nails buffet satay cooked to death by way of indifference. It’s a beautiful, thicc skewer of thigh meat that hits like a pro boxer’s jab-jab-hook combo; the sweet surprise of the glaze, the savoury char, and the tender chicken meat dissolving on your tongue with a few perfunctory chews. Sorry for the lyrical writing, but why can’t all satay be like this? 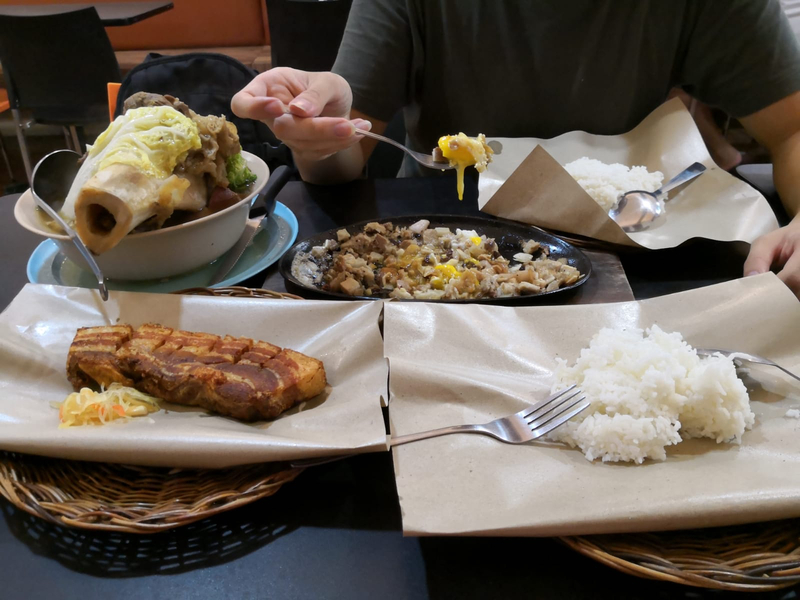 My companion and I finished the entire plate within 5 minutes of its arrival, then spent the rest of our dinner staring longingly at the Paiseh Piece—before she reached over with a fork and divided it down the middle, to my immense relief. 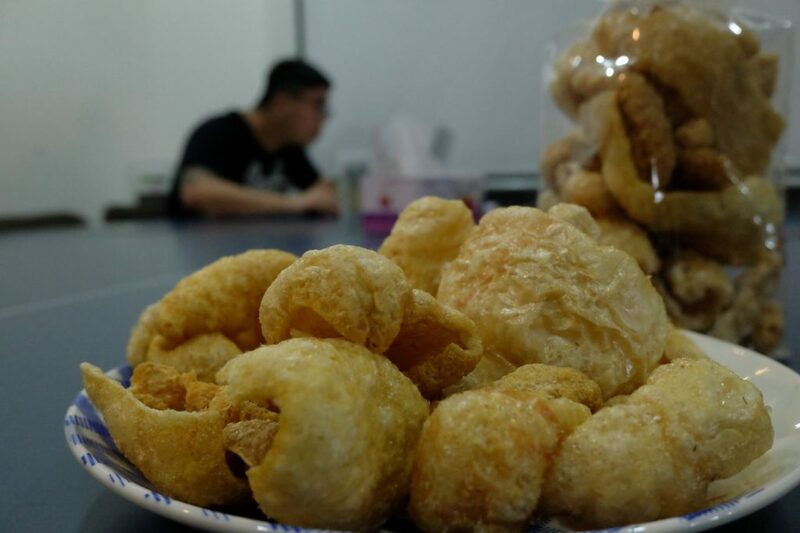 In an ideal world, your holiday would begin with squid in Bali and end with a strong cup of coffee in Hanoi, with pit-stops along the way for cake and pork rinds. But if you’re down and out for whatever reason, don’t feel sad when your friends start posting Instagram stories of perfect sunsets or neon-lit cafes. If you really care for it, you can still close your eyes and let the flavours transport you somewhere else; somewhere far away. For more stories on how to travel, but not really, click here.